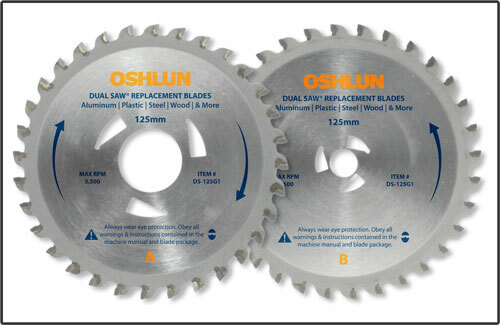 Our dual saw replacement blade set features premium tungten carbide and precision ground tips. This set is designed to fit on the original Omni® Dual Saw® and Startwin® saws with triangular driver holes around the arbor. It can be used to cut through nearly any material including steel, aluminum, plastic, and wood.